Thinking about editing a book? Thinking about editing a book? See SAGE Methods #Methodspace: Envisioning an Edited Book and Proposing an Edited Book. Want to explore your publication options, including the edited book? 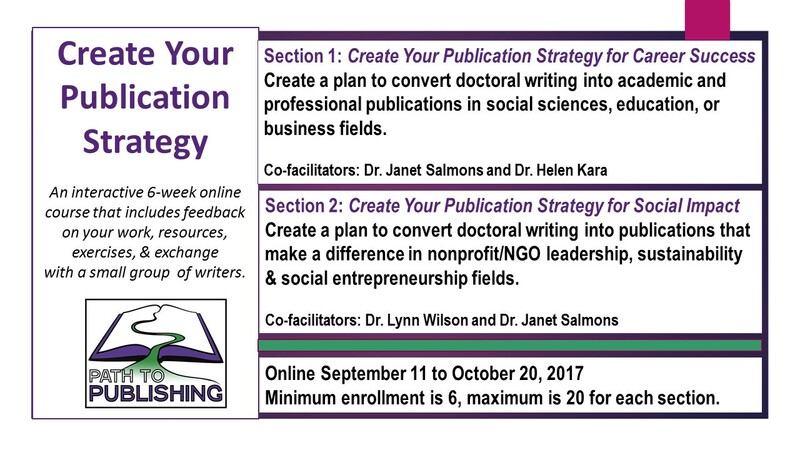 We will be offering two sections of the Create Your Publication Strategy online course, starting September 11. See www.path2publishing.com for more information. Writing a book doesn’t end with the manuscript! 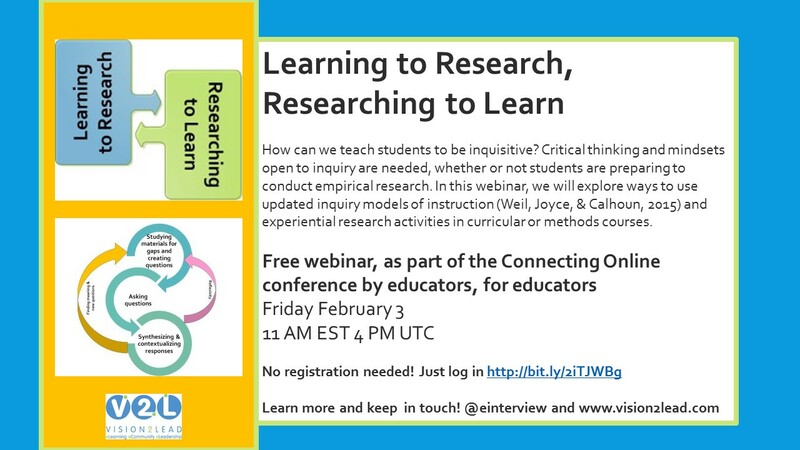 See Resources and Websites Mentioned in the Webinar. These links offer examples for different kinds of materials and book sites. Will the publisher agree to including a link that takes the viewer away from the publisher’s website? Are you committed to creating and maintaining the page? Do you have the technical skills needed to do so? Can you as author give input into the site design or format, organization, or presentation of resources? Can readers who are not instructors gain access to the site? Doing Research in the Real World Note: If you create an account in VitalSource, you can request electronic review copies of texts and view interactive features. What is the author’s role in designing and producing these features? Can you as author act as the subject matter expert for technical or media features? If not, do you have final approval? If your visuals, diagrams, etc. are being used, can you retain your intellectual property/copyright? If a third party or additional subscription is involved, do you receive payment or royalties? Teach methods? Want to convey a holistic view of research design and conduct? Use research cases! Post with (free) case & learning activities now online on SAGE Methodspace. Use the comment area to share your examples. 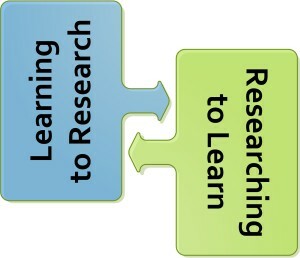 This post is part of the Methodspace Learning to Research, Researching to Learn series. It is essential in this time to change the ways we teach– whether we work with children or adults. They need the opportunity to develop skills needed to scrutinize, dig deeper, and ask hard questions! In the process, perhaps they avoid taking information they receive at face value, and can better understand the importance of scientific, evidence-based approaches. And these skills and mindsets prepare them to be future researchers! 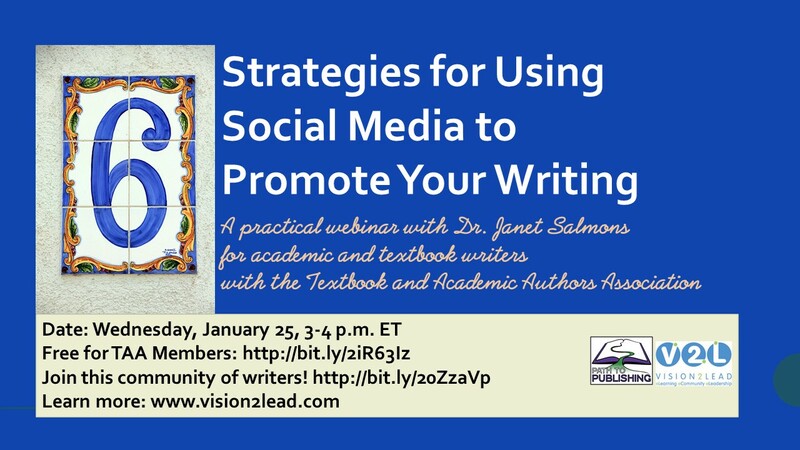 The webinar recording is online and available for Textbook & Academic Authors Association members. Not a member? Join this vibrant community! In the webinar I discussed creating podcasts, communicating visually, and creating a cross-platform strategy. For more about creative representations of research findings, see Chapter 9 in Digital Tools for Qualitative Research by Paulus, Lester, and Dempster. For more on creating a cross-platform strategy in conjunction with text or academic publishing, consider taking the Create Your Publication Strategy (TAA members receive a $25 discount. Here are some resources in response to questions posed in the discussion. Social Media in Academia: Networked Scholars by George Veletsianos, author’s blog: http://www.veletsianos.com/ . 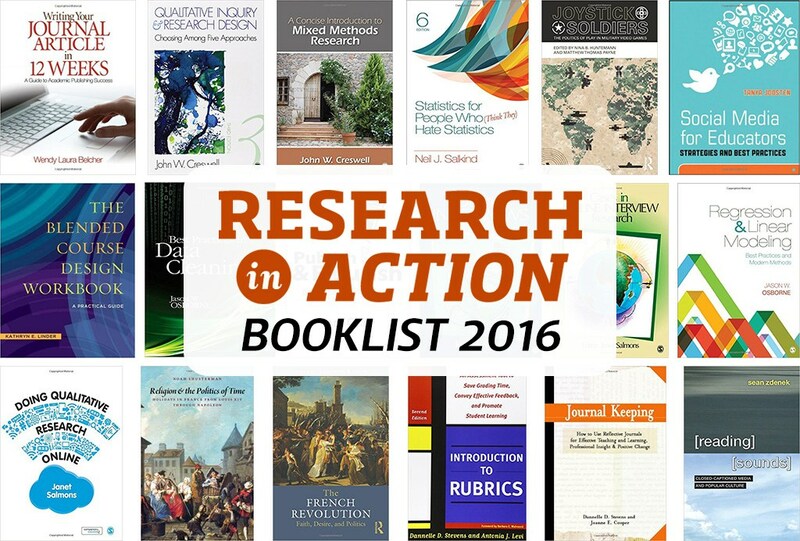 Listen to a Research in Action podcast with the author. Tips and Techniques for Enhancing Your Approach to Visuals webinar, register now! Listen to recorded webinars. I contributed an article, “Social Media or Social Web?” As part of a special issue of a UK online magazine called Discover Society. The special issue is about “Social Science & Social Futures: Fast Scholarship, Emerging Technologies & The Future Of Inquiry.” You might find the editors’ article of interest: Mark Carrigan is a prolific writer and one of the leading thinkers about social media and academic life. Thinking about editing a collection? Join me! Visit http://bit.ly/2eK7NyB to register. 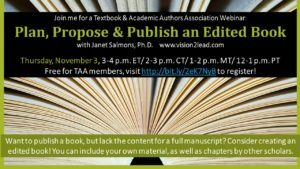 Free for Textbook & Academic Authors Association members- if you are an academic author, this might be time to join!